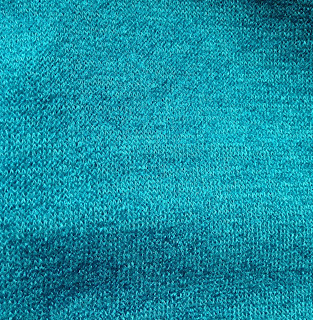 Long ago, I went to visit Kashi at Metro Textiles, fell in love with this beautifully soft teal knit fabric, and split the last bit of remaining yardage he had with Kyle (of the Vacumming the Lawn blog), who made a great dress for herself and wore hers at the Pattern Review party that same year! So, as I considered, reconsidered and rejected ideas for exactly what to do with my fabric, years passed. Just to pretty to cut into anything shaped or tailored, I feared not making the perfect decision, and not being able to get more fabric. So... I never did. Not even now. I made a mere two cuts to make this ensemble happen. Now, mine is a soft skirt/ scarf-like combo that can be multiple ways to give the fabric multiple lives (to be worn with a simple, close-fitting shirt underneath). And really, more than anything, I really want to wear this outdoors with tights, boots, and a denim coat or jacket. We'll see where the adventure takes me. I'm noticing beauty all around us. The trees are glowing beautifully in NYC right now. A very late peak to the fall foliage transformation. A wonderful friend dyed some cozy, soft velvet for me some time ago. Too beautiful to cut, it just recently whispered to me that it wanted to become a mobius tube scarf for the Thanksgiving holiday. A true, zero-waste project! In a moment when many of us just want to curl up in a blanket, a mobius scarf is the next best option! Wanna know how to make one? It is very easy, but instructions are needed to make it turn right side out, and bend correctly when worn. And here's a great post by the wonderful Shams, showing off her versions of the scarf, once made! She happened to be carrying a purse I made years before she was born, which we still giggle about whenever someone says to her, "Nice purse!" because it simply refuses to age. While the meaning of that passage is bigger than a simple purse, it really resonated with us. Should you choose to watch the video above, it describes a labor-intensive task that no one unfamiliar with its cultural relevance or history would likely undertake, but the meaning and future-oriented perspective of this process remains strikingly profound. Rosen & Chadick - the wools, the pant weight twills, washed linens and fantastic shirtings have lived a million lives as clothing in my house. I've made coats from their fantastic wools, and have never been at all disappointed with the quality. Never. 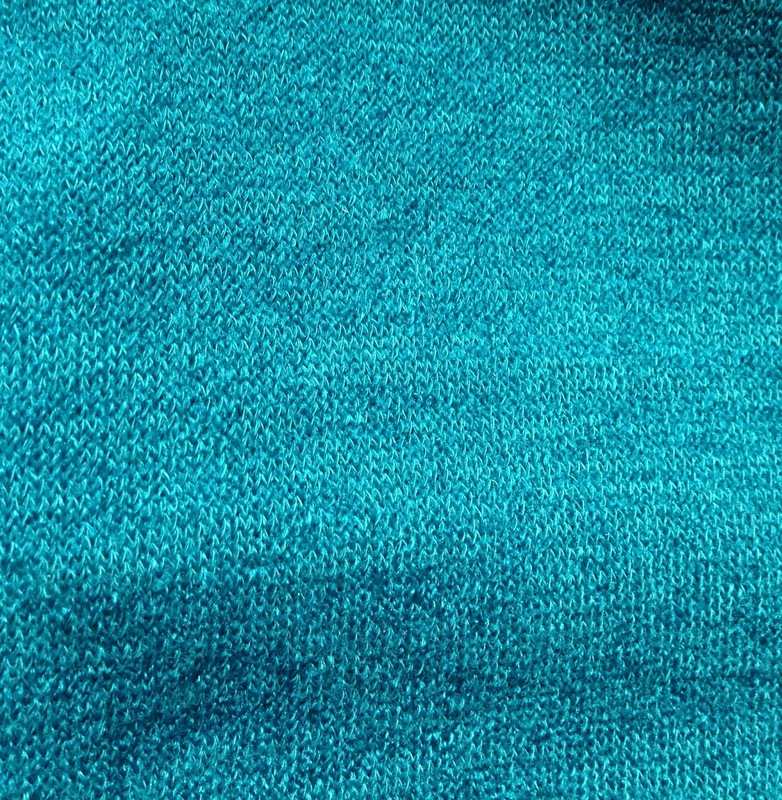 Someone may say to me "Nice pants", and I start my answer with... "You will never believe this, but I made these 15 years ago..."
NY Elegant - Their stretch knits, jerseys, and soft, drapey knits have some kinda magical powers that they wash and last so well. I have been amazed by how long even my most abused tops and comfort clothes made from their fabrics have lasted. Metro Textiles - Not only does he have a good eye for beautiful fabrics, Kashi has a great eye for quality fabrics. I've got many older pieces in my closet, made from goods purchased with him. This is not to say that other things don't last, but these are the three places that amaze me with the quality of their goods. I don't know that many people set out to make a shirt with a 15 year life span, but what fun when it happens accidentally! A superhero name for my daughter? Let's call her "NatureGirl"
I'm making made a new dress for my teen. Her aesthetic is very much "urban superhero", which is this wildly creative, strength-exuding way of dressing that is uniquely her own. I have become so immersed in my own head that I forgot that the things I make are now unapologetically odd - happily, she embraces them wholeheartedly... thank God! Thanks to a beautiful nature-themed knit panel from Elliott Berman, and a great purple twill from Rosen & Chadick (now making its second or third appearance since I've owned this yardage), this dress started to sing my daughter's name, and became her own! Complete with a (required, at least in our lives) MetroCard and random stuff pocket and a tough, denim-like underdress, when worn with boots, this getup will be impervious to the rough NYC elements. Update: She wore it yesterday (bare-legged with ankle boots, and a leather jacket) - and loved it.